If you are considering living in Spain, as with everywhere else, it’s a good idea to rent first. 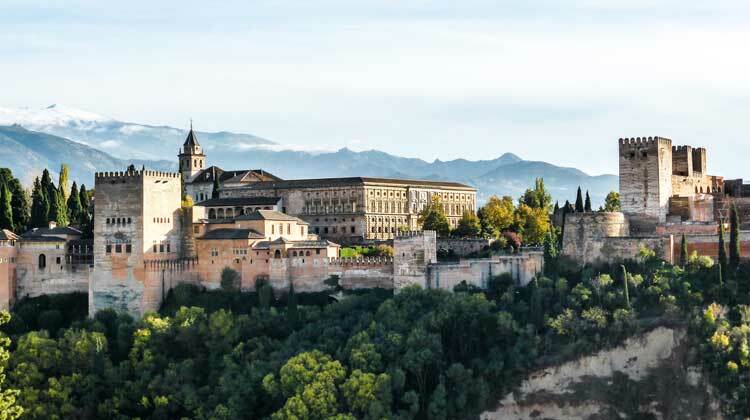 With a Short-Stay visa, you can stay in Spain as a tourist for 90 days out of every 180—a long enough stay to let you experience living in Spain without making a full commitment. If you’re looking to stay in a property for three months or less you’ll find they are generally listed as holiday rentals and there’s plenty of these along the coasts and in major tourist cities in the interior—including the capital, Madrid, and Granada in Andalucia. Holiday rentals tend to be more expensive than full-time rentals—however, they also come fully furnished and generally include all utilities and fees. If you plan to come off-season or stay for several months, you can often negotiate a lower price than the listed per-day or per-week rate. For short-term rentals in smaller beach cities, expect to pay $900-$1,450 a month in rent for a small apartment off-season, while the rates in cities like Barcelona and Madrid can be double that. If you do decide to live in Spain, you can choose between buying a property and renting. Long-term rentals are currently listing at attractively low prices for the quality available. In Alicante and Valencia, for instance, you can rent long-term starting at about $590 a month. Prices in Malaga start only a bit higher, though you’ll pay more the closer you get to Malaga’s historic centre. Away from the popular Costas, English isn’t as widely spoken as you might expect, even among estate agents, though they will happily give you listings. Learning at least the basics of Spanish will make life easier, as all Spaniards speak it. However, do keep in mind that it isn’t the only language spoken in Spain. Most people in Catalonia, for instance, prefer to speak Catalan, the local language, rather than Spanish. Signs there don’t point to la playa (the beach), instead, it’s la platja. Milky coffee isn’t café con leche, it’s café amb llet. And a street isn’t a calle–it’s a carrer. The same applies to the Basque country on Spain’s northern Atlantic coast, where many people speak Basque, and to Galicia, on the far northwest coast, where Gallego is spoken. To a lesser extent, you’ll find the same in Valencia and Alicante provinces, where many speak Valenciano. To get the most out of Spain, you’ll need to make some changes to your lifestyle. Outside of the big cities, shops close for three-hour afternoon siestas (usually from 2 p.m. to 5 p.m.), and restaurants rarely cater to early eaters. In fact, Spaniards don’t usually have lunch until 2 p.m. or dinner before 9.30 p.m. While supermarkets are readily available, many Spaniards still like to shop at traditional markets when they have the time. Most major cities tend to have at least a mercado central (central market), while many have neighbourhood markets, as well. Under its roof you’ll find individual stalls devoted to selling fruits and vegetables, meats and sausages, poultry and eggs, fish, or frutos secos (shops devoted to selling nuts, olives, dried fruits and sometimes dried fish). When bringing your belongings into Spain, household goods are duty free if you’re moving to live permanently. But if it’s a second residence, non-EU citizens are subject to duty on the value of the goods. One of my favourite things about wandering the planet as a freelance copywriter is exploring the world’s most beautiful cities. Laptop at the ready, I’ve crafted blog posts in Milan, product descriptions in Vancouver, case studies in Buenos Aires and eBook chapters in Ljubljana. I wish I could say I was equally productive during my recent 10-day visit to Seville, but I must come clean: this place was so physically mesmerising and emotionally beguiling that I got virtually no work done at all!